Text and Images contributed by Man Mohan Munshi Ji. About 100 years old carved walnut box with a a Kashmiri family at San Diego, USA. Note the carving on outer as well as inner sides. 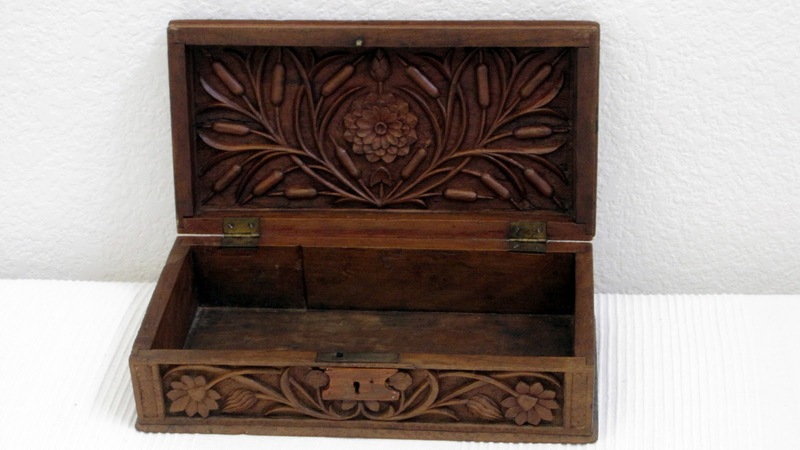 Believed to have been used as a shaving box by owner's grandfather. 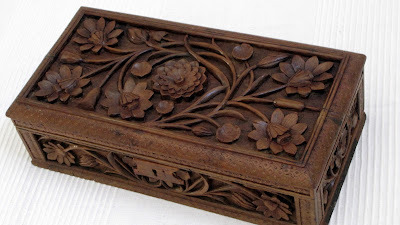 We are an organisation publishing travel guides, presently we are working on a Jammu and Kashmir project for which we are looking for some good photos of Walnut boxes. With reference to your blog, we wish to use the walnut box photo for our project. Kindly give us the permission. We will publish your name in our editorial page. feel free to use the photograph. Everything here is for free public consumption but it would be great if you give credit to the blog and the person who originally shared this photograph here.